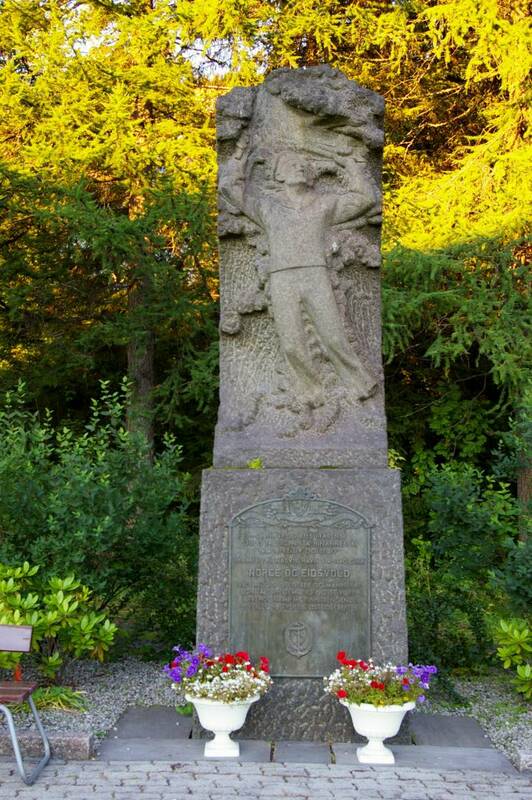 A memorial dedicated to the officers and men lost in HNoMS Norge and HNoMS Eidsvold which were sunk Apr. 9, 1940 in Narvik Harbor during the German invasion of Norway. Close-up of the inscription. It reads; We stand together to recognise the sacrifice of life in the struggle for the Port of Narvik on 9 April 1940. 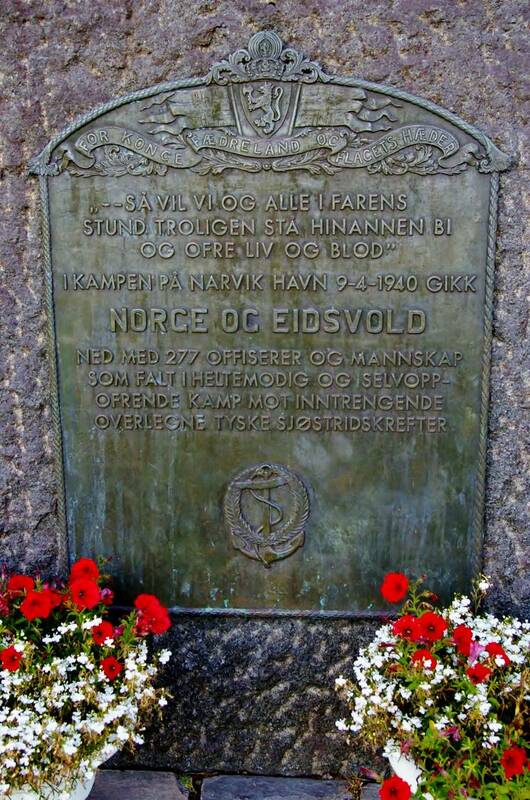 HNoMSs Norge and Eidsvold sunk with 277 officers and crew who fell in heroic and self-sacrificing struggle against intruding superior German naval forces.